If you can’t activate your device after upgrading to iOS 11/iOS 12, please know you’re not alone. Comforting, right? 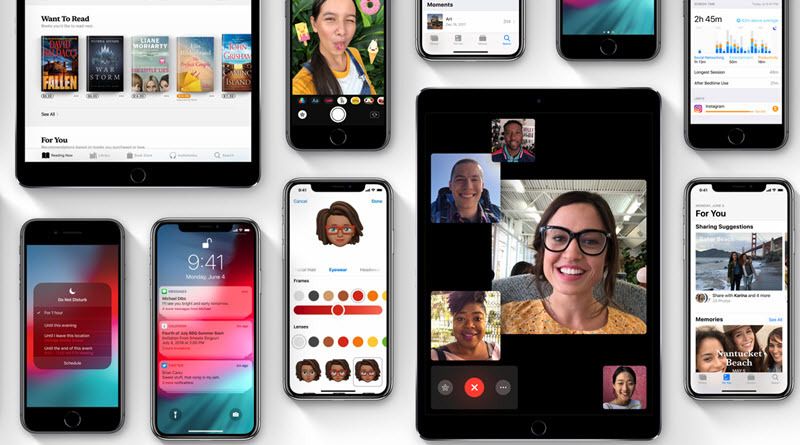 Activation issues are one of the many issues plaguing some users who have upgraded their devices to the new iOS 11/12. From the statistics we have, it seems this issue is affecting older models of the iPhones – iPhone 5S or earlier. Thankfully, there’s a way around activation issues and this post will show you why activation issues occur and the tips to get around them. We will be exploring all possibilities on fixing activation errors and gets it working for you again. Before providing the solutions, it’s imperative to also understand why it occurred in the first place. Busy Apple Server: Imagine the amount of Apple devices in the world, and the fact that a significant proportion is always trying to contact the server. Despite Apple’s resources, it’s not uncommon for glitches to be borne out of high traffic, though very rare. Therefore, the activation server might just be temporarily unavailable the moment you were trying to activate your device. iPhone not recognized: In this case, there’s a local error preventing your device from contacting the activation server. It could be wrong details, issues from your carrier or Wi-Fi couldn’t connect. iTunes unable to verify your device: Another reason might be that iTunes cannot verify your device because of wrong login details. As reported by most users, the activation issues arise immediately after the download has taken place and they can’t sign in. Even Apple concurs that this issue is peculiar to older devices. The following tips will help you reactivate your account. This will work only when the problem is an error from Apple’s activation server. If this were the case, chances are you’ll be able to activate your account once you wait it out a few minutes. If your iPhone activation error doesn’t change after this, it’s time to turn your attention somewhere else. A hard reset is perhaps an iPhone owner’s go-to solution for most iPhone problems; and why not, when it usually fixes most errors. Just hold down the “Home” and the “Sleep/Wake” buttons together for about 10 seconds and wait for the device to reboot. Try activating the device again. If it doesn’t work, move to the next step. Another problem worth examining is your SIM card/carrier. If, your phone is recently purchased from your carrier, it will not get activated until it is unlocked. In some cases, what is required is to contact your carrier and ask them to unlock your iPhone and SIM card. If your iPhone and SIM card has been unlocked before, then you can attempt to bring out your SIM from the iPhone and reinserting. Try activating your iPhone again. Another problem that could be preventing your iPhone from being activated is your WI-FI or network. Perhaps the gs.apple.com is blocked on some ports. Try connecting to another Wi-Fi to see if the problem is peculiar to the former WI-FI/network. Connect your iPhone to your Mac or Windows PC and open iTunes (Make sure your iTunes is updated to the latest version). Select your device from the left hand pane and you should see “Activate your iPhone” on your iTunes screen. Enter your Apple ID login details and click ‘Continue” in the pop-up menu. Make sure your device is totally offline and turn it off. Sign into your iCloud account and open “Find My iPhone”. Select “All devices” and then select your device – the one that is not activated. Select the “Remove from Account” option. You can now activate your device afresh. What method can you use that gives you complete control over your iPhone? You can use iMyFone Umate Pro or iMyFone Umate Pro for Mac. Umate is fully compatible with iOS 11 and latest iOS 12 and receive lots of positive reviews from macworld.co.uk, Makeuseof.com , Cultofmac.com etc. How to completely factory reset iPhone without even the password? (1) Install iMyFone Umate Pro on your computer and connect your iPhone. (2) Click Erase All Data on the software and then click on Erase. (3) Type “delete” in the textbox to confirm. Click Erase Now to begin. 1-Click Cleanup. 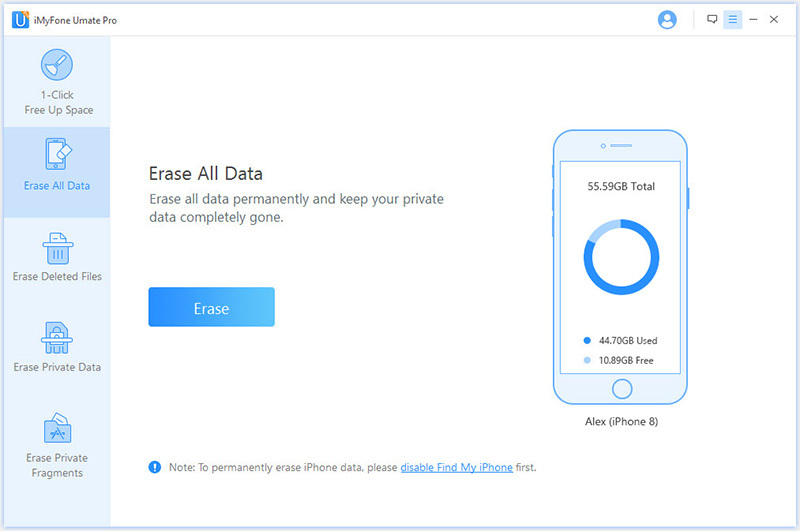 It’s easy to save huge space and boost iPhone up by simply clearing junk & temp files, losslessly compressing photos, mass deleting photos/videos/apps, etc. Erase Deleted Files. If you manually deleted files before, they might still be recoverable. Umate Pro finds these files and erases them permanently for you. Erase Private Data. Privacy is an increasing issue these days with smart phones. 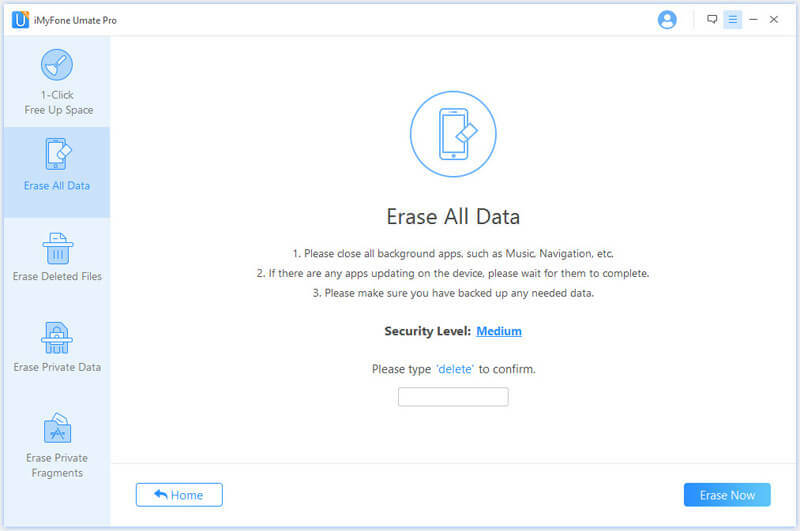 With Umate Pro, you can preview and selectively erase unwanted private data. Wipe Third-Party Apps Traces. Apps can leave fragments of private data behind when using. All the private fragments can be found out and completely destroyed. This is the last resort when you’ve tried all else. It’s very rare to try all the above and still come up short. In our experience, iPhones that have been jailbroken or tampered with in other ways usually have the activation problems. Restoring should work for most iPhones problems except of course the iPhone has been jailbroken.